Zuzana Ruzickova, survivor of Auschwitz-Birkenau and first soloist to record Bach's complete works, dies at 90 in Prague. 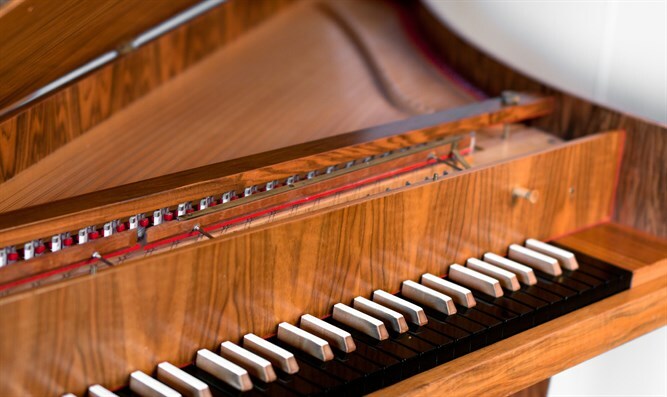 AFP - Czech harpsichordist Zuzana Ruzickova, the world's first soloist to record Johann Sebastian Bach's complete works for keyboard instruments, died aged 90 on Wednesday, Czech media said. Ruzickova, who recorded Bach's complete work on 35 records between 1965 and 1975, died in a Prague hospital after a short illness. A Czech Philharmonic soloist from 1979-1990, Ruzickova was in 2003 bestowed with the Order of Arts and Letters, one of one of France's top cultural honors. Born on January 14, 1927, Ruzickova was deported to the Jewish prison and ghetto in Theresienstadt and then to the Nazi German death camp Auschwitz-Birkenau during World War II. After the war, she studied harpsichord in Prague and Paris before winning a competition in Munich in 1956 that kicked off her career.